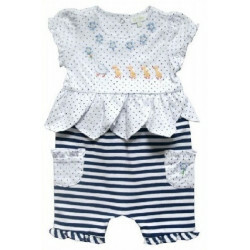 100% cotton knit romper by Little Me. 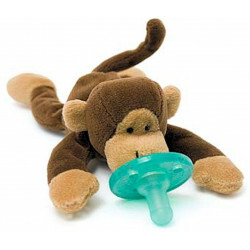 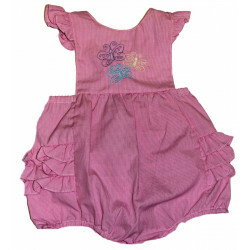 The cute little girl romper is in lime green check with a little frog and flowers embroidered on the chest. 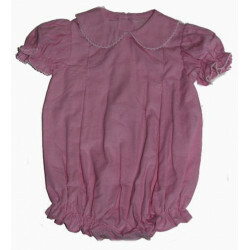 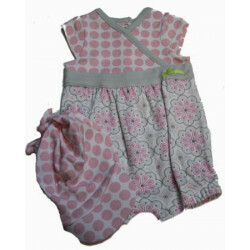 Puff sleeves and lap shoulder style neck with pico stitching make this romper a comfy wear for the little girl. 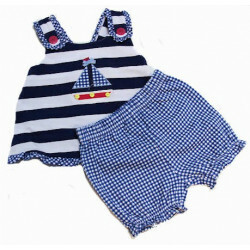 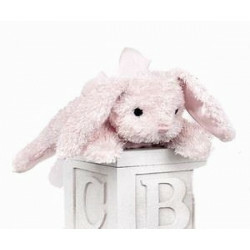 Size' 3, 6, 9, 12 months.